Spend 3 days and 2 nights camping beneath the stars, trekking through the lazily flowing river (perfect for the backpacker who truly enjoys getting their feet wet! ), and marveling at the native tribal ruins and pictographs sprinkled left and right. 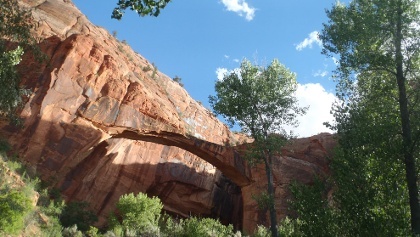 Get to know some of Southern Utah’s intricate canyon hideaways including Death Hollow and the Escalante Natural Arch, and you’ll never want to leave. You will meet your guides in Escalante, UT, on day 1 of this trip.